Temperament: Smart, confident, courageous, sometimes stubborn; protective of loved ones, aloof with strangers. Somewhat active and very playful, but calm in the house. A double coated dog, the BRT requires weekly grooming. The Black Russian Terrier was created in the USSR as a military/working dog by the Red Star (Krasnaya Zvezda) Kennel in the 40-50s; several breeds were believe to be involved in their creation including Airedale, Giant Schnauzer, Rottweiler, Newfoundland, Caucasion Shepherd Dog and other breeds. They were sold to civilian breeders from the Red Star Kennel in 1957 and subsequently took on more specific appearance and type. The first breed standard was written in 1958. From there they spread worldwide. It is a recognized breed in many kennel clubs including FCI, AKC and CKC. The Black Russian Terrier is a working dog, guarding dog, sporting and companion dog. Most BRT are related to the same level as offspring of village dogs that were full siblings, and assuming that the full-sibling pair were offspring of relatively unrelated dogs. The average number of alleles (Aa) per each of the 33 genome-wide STR markers is 6.27, of which 3.48 are effective alleles. This indicates a fair amount of breedwide diversity, but a need to redistribute the alleles to increase the number of effective alleles. There is the presence of a genetic cluster within the breed, however there is presence of outliers. The DLA in BRT is relatively low compared to other examined breeds, but not the lowest. Thus far, 9 different STR-associated DLA Class I and 7 DLA Class II haplotypes in BRT have been identified. More DLA types may be found when more dogs are run. 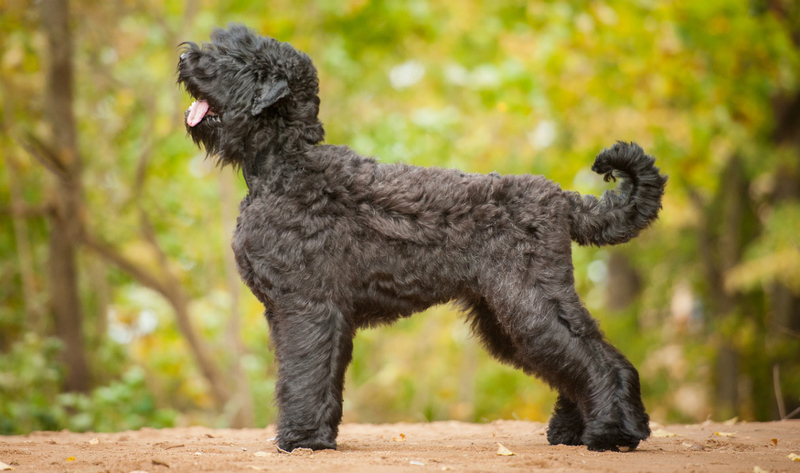 The Black Russian Terrier is a breed that would be well served to maintain the diversity they have retained. While they are not the most depleted that has been tested thus far, they do not have much diversity comparatively to other well distributed breeds. Therefore, breed for rarer alleles and look for genetic outliers to increase breedwide genetic diversity. This is done by breeding for higher OI and lower AGR. Select for outbred and low IR litters. Make an effort to breed for heterozygous DLA. types with emphasis on the least common DLA types when possible.